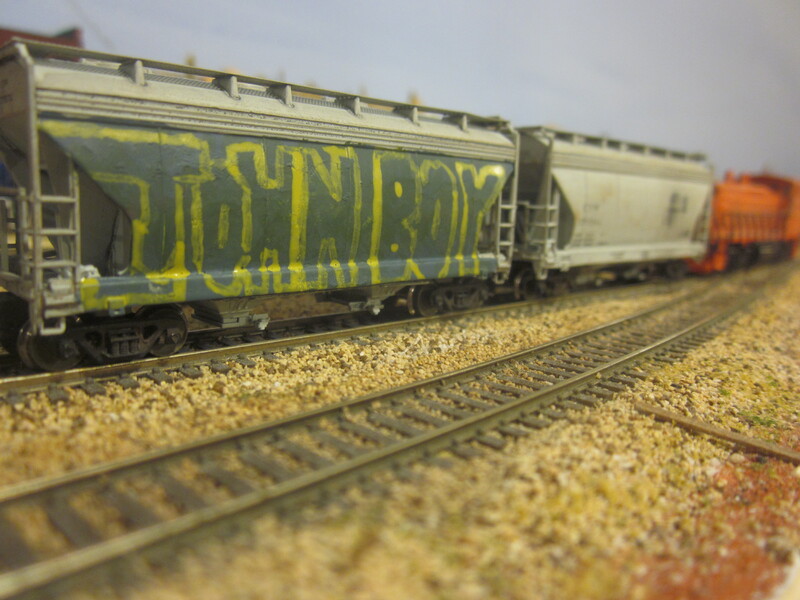 Graffiti is an essential element to realistic railcar models. There are graffiti decals available on the market, but using a commercial product to represent something so individual and organic doesn’t sit well with me. So, I paint my own using acrylics. The water-based paint allows me to blend colors and recreate the inconsistent coverage of spray paint. Plus, I can personalize the artwork. I start by sketching the graffiti on scratch paper to get the right size and spacing for any letters. Then I paint the silhouette of the art in multiple colors, creating a gradient. When the gradient dries, I come back with a contrasting color and outline the letters, and add any other details I want. 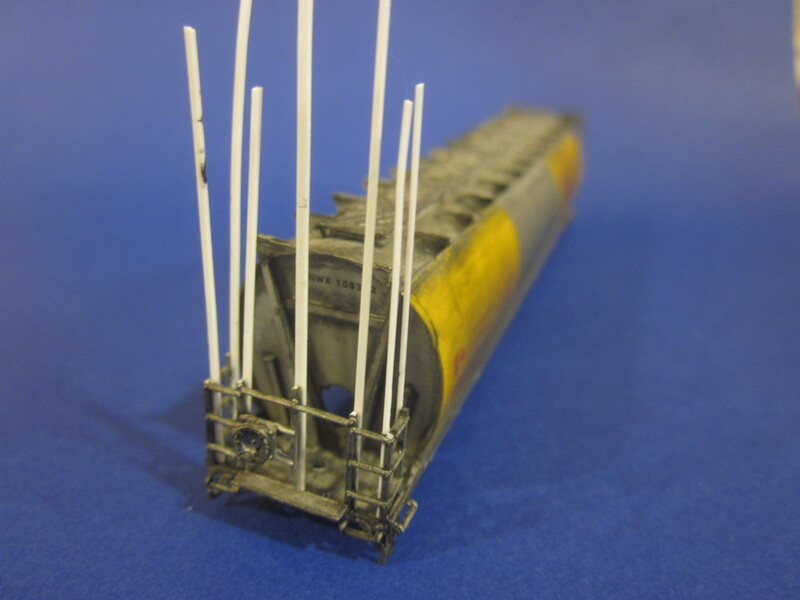 It’s a grim sequence all model railroaders eventually face: The tick-tick-tick of a derailed wheel, the clumsy search for the throttle, the sickening crash, one or three or five models in gruesome postures on the ground. 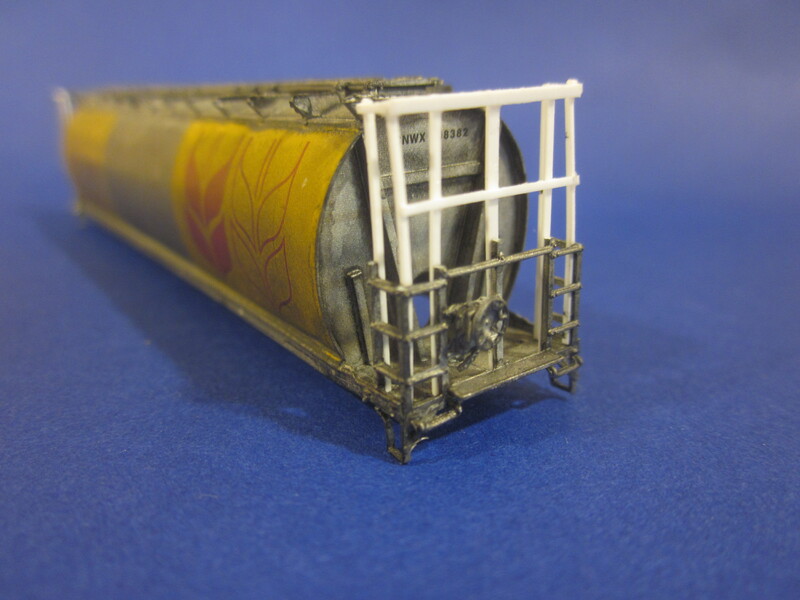 Someday finally arrived for this Micro-Trains cylindrical covered hopper, and with a few simple steps it returned to revenue service in a weekend, with materials I had on hand so it was cheap. And, truth be told, I like the car more now than I did before I wrecked it. The damage: Smashed end railings, dislodged roofwalk and brake gear, totaled trucks. 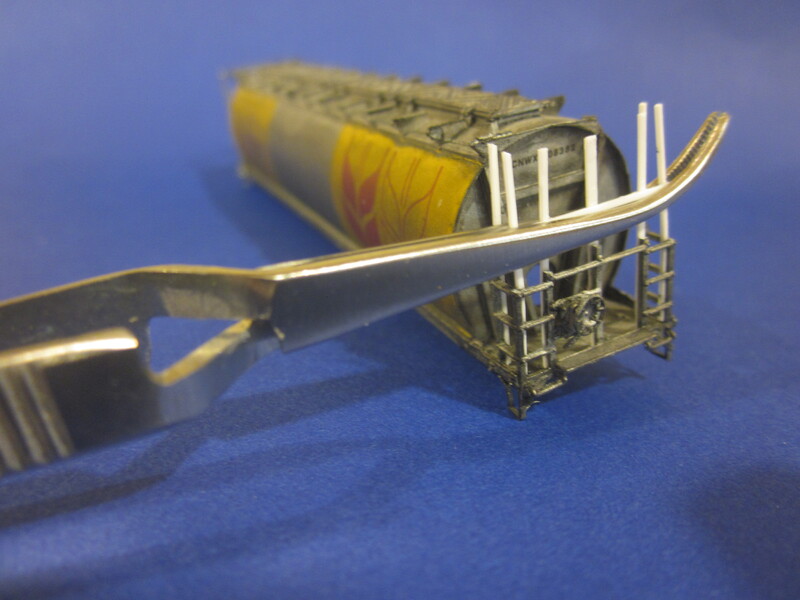 I disassembled the model and cut away the bent and broken beams from the end structures. The roofwalk is photo-etched metal and thankfully it wasn’t too badly kinked – once I cut it loose of the model it pretty much returned to straight and flat. The only hard part was rebuilding the smashed railing structure with some strip styrene I had on hand. 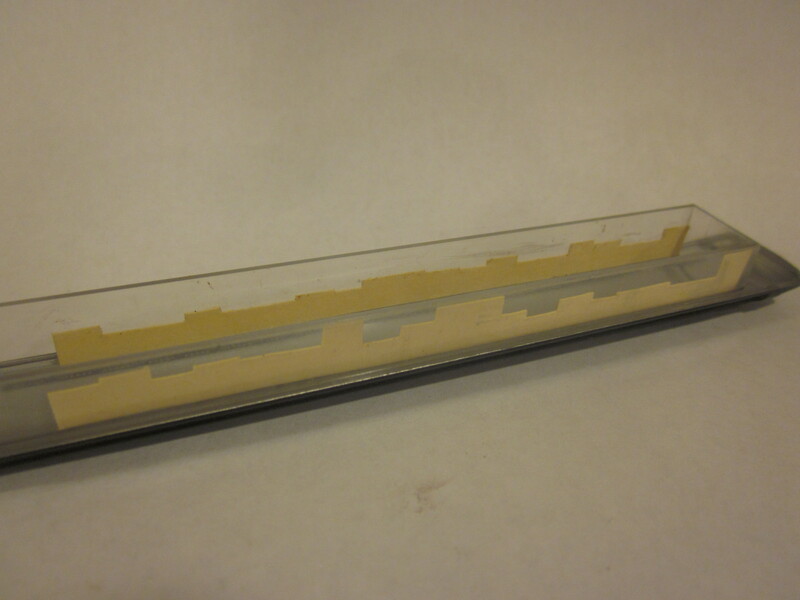 I glued long strips against the remaining structure with CA. When they were dry I used a sharp scissors to trim them to length. I glued the horizontal bars in place with CA, using a spring-loaded tweezers as a clamp to keep everything straight and square while the superglue dried. Again, I glued longer strips in place and trimmed them to size when the glue set. With the structure rebuilt, I gently washed the car in soapy water and let it dry thoroughly. Then I sprayed it an oxide red. The brake gear got a coat of primer gray. Everything was set aside for 24 hours while the paint dried. 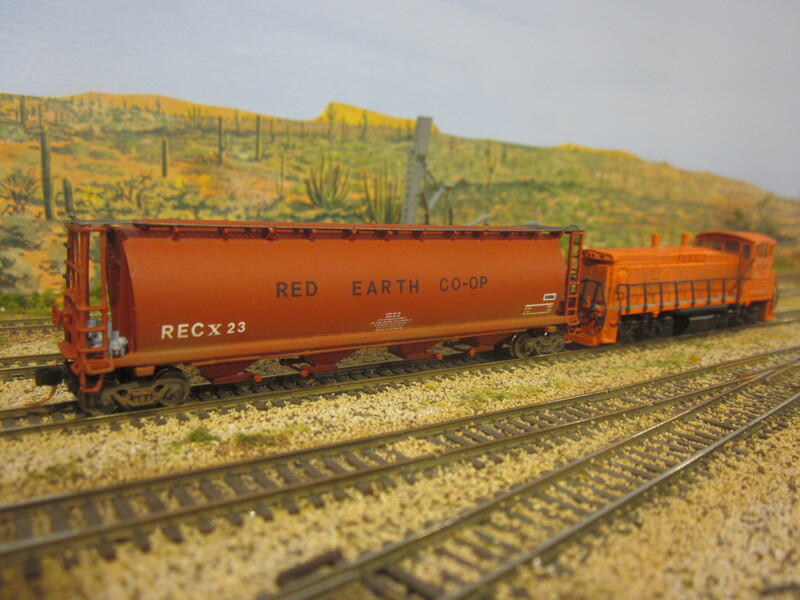 The Red Earth Co-Op in Herbst Junction operates a hodgepodge fleet of second-hand grain hoppers, and this resurrected unit is a perfect fit. Decals were scavenged from my odds-and-ends collection. I ran out of Xs for the RECX reporting marks, so I had to use a different font. Not perfect but so what? I imagine the outfit is a low-budget affair and good enough is good enough for them. 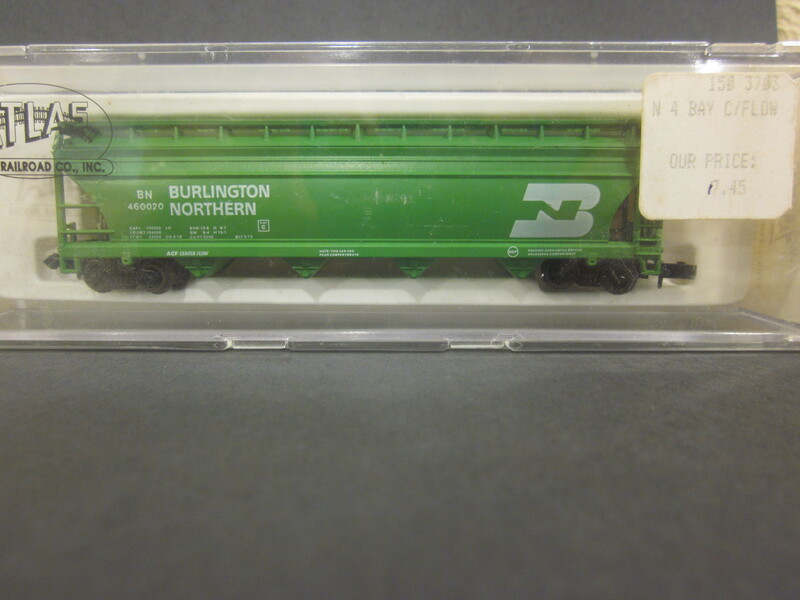 The car was fitted with new Micro-Trains 100-ton roller bearing trucks (I keep a 10-pack on hand) and Fox Valley Models 36-inch metal wheels (also an important staple). The roofwalk was glued back in place with CA. Finally, I did some light weathering with weathering powders. When your models crash, save the pieces! Such unfortunate events can become fun, inexpensive weekend projects. Last week I wrote about the steam shuttle to Many Lost Ways National Park. 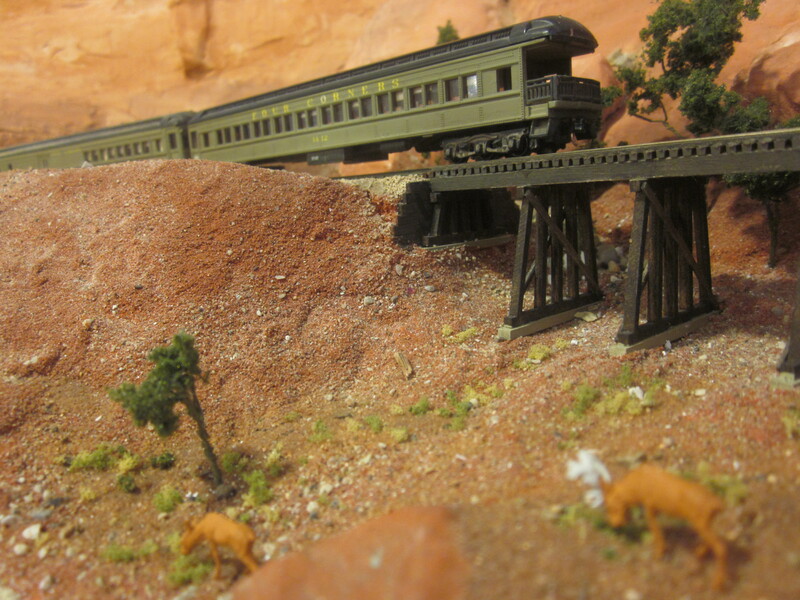 I built this train a few years ago, before MicroTrains and Walthers introduced their very nice heavyweight passenger cars. 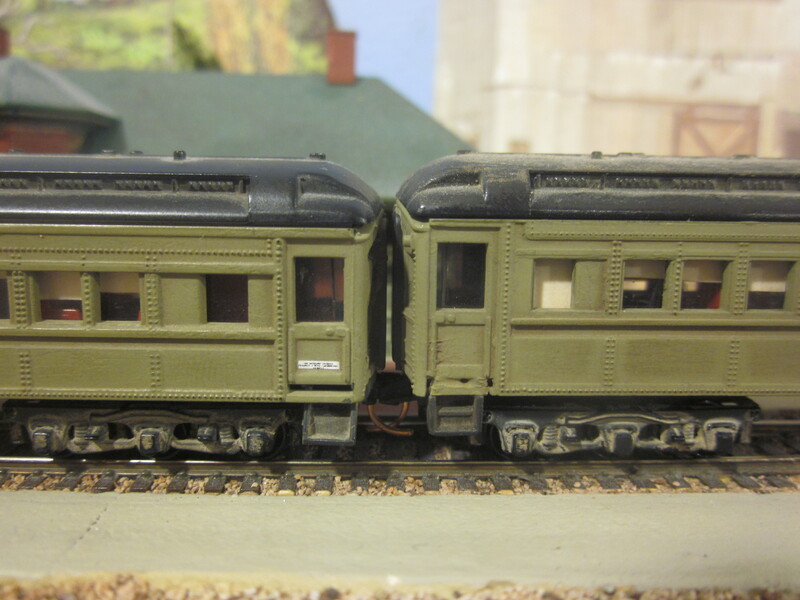 My options at the time were brass car sides or these units from Model Power. 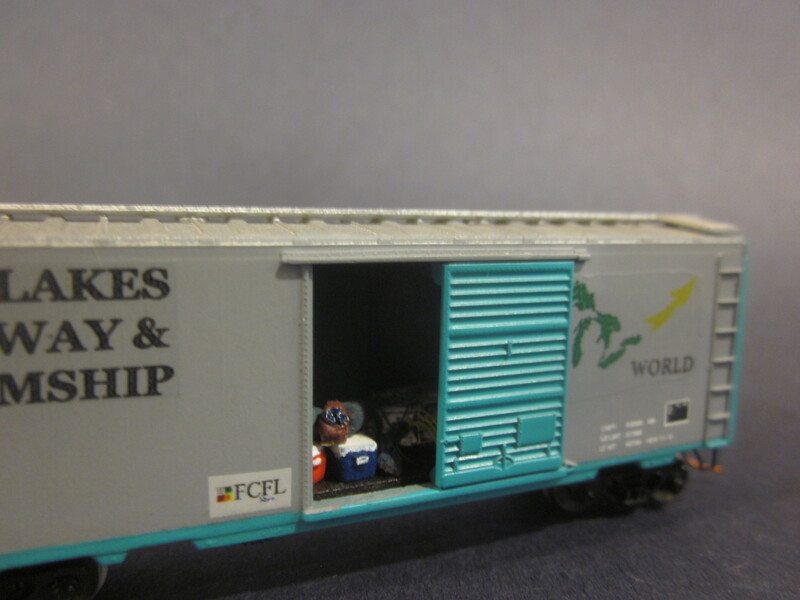 The Model Power cars have serviceable carbodies, but the lettering, running gear and couplers left a lot to be desired. The most noticeable drawback to the carbodies was the lack of any steps. I remedied that by cutting the entire platforms from the ends of a couple of cheap cabooses I bought from the junk bin at my local hobby shop. With some careful filing, I was able to neatly fit these beneath the vestibules on both ends of the parlor car and the passenger end of the combine. On the baggage end of the combine, I cut bits of ladder from an old bridge kit and glued them in place as stirrup steps. The car ends had poorly molded brakewheels next to the diaphragms. I removed these with a sharp hobby knife and filed the area smooth. Next I thoroughly cleaned the models and sprayed them Bomber Tan. 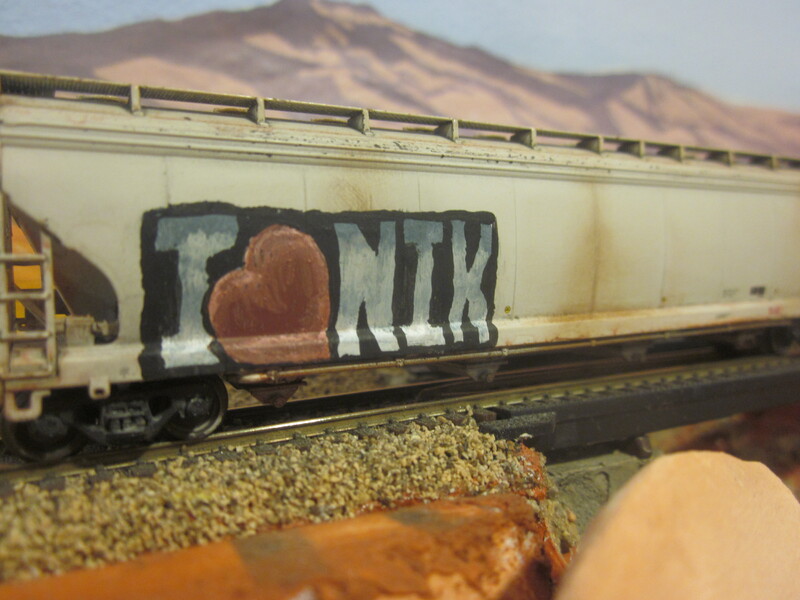 After the paint dried, I lettered the cars for the Four Corners, one of the predecessor roads to the FCFL. 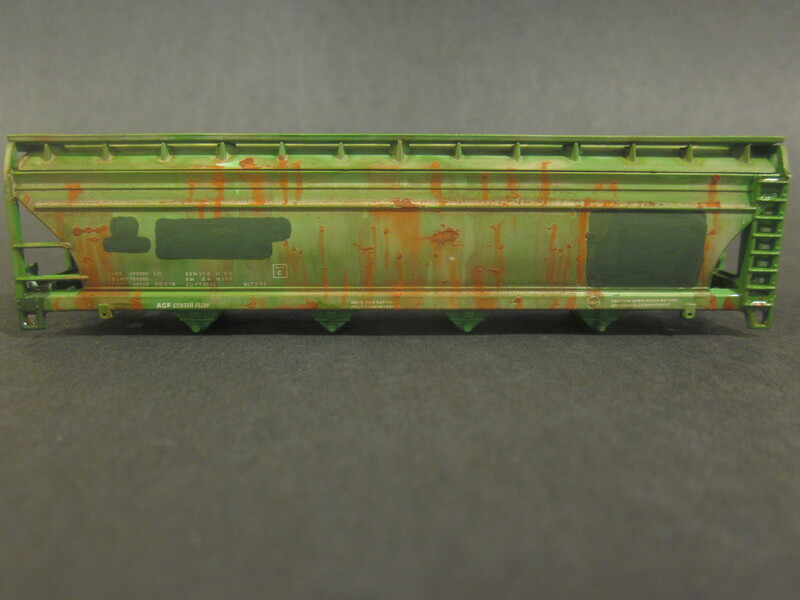 I brushpainted the diaphragms and other details, then lightly weathered the cars with weathering powders. I removed the plastic interior inserts with molded seats and sprayed them dark red. 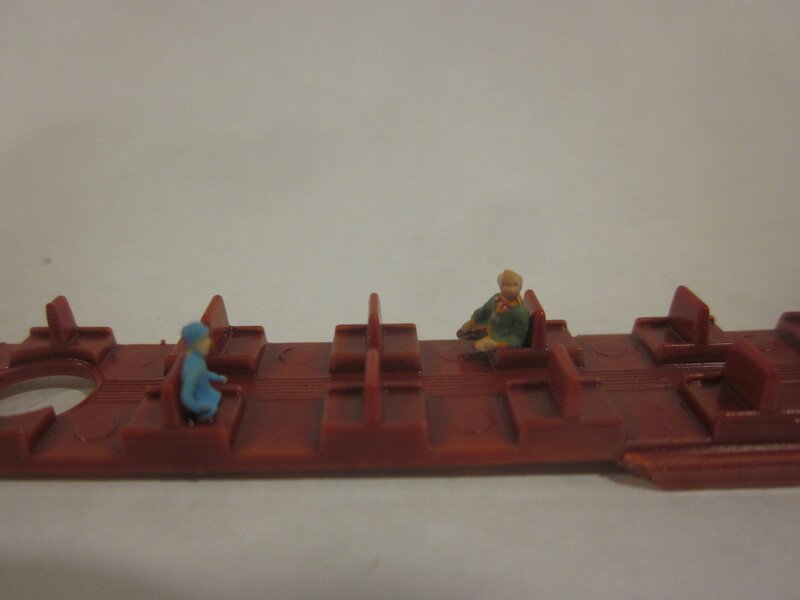 I then added a handful of passenger figures, trimming their legs and torsos to fit as needed. I made a paper template of the window openings and used it to cut strips of manilla file folders for window shades. I glued these to the inside of the window glazing. 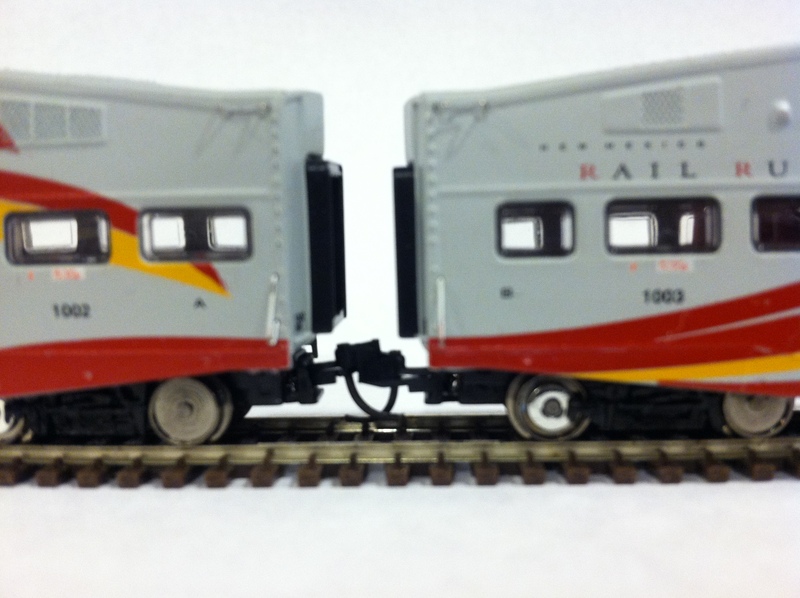 I discarded the Model Power trucks and replaced them with MicroTrains trucks. 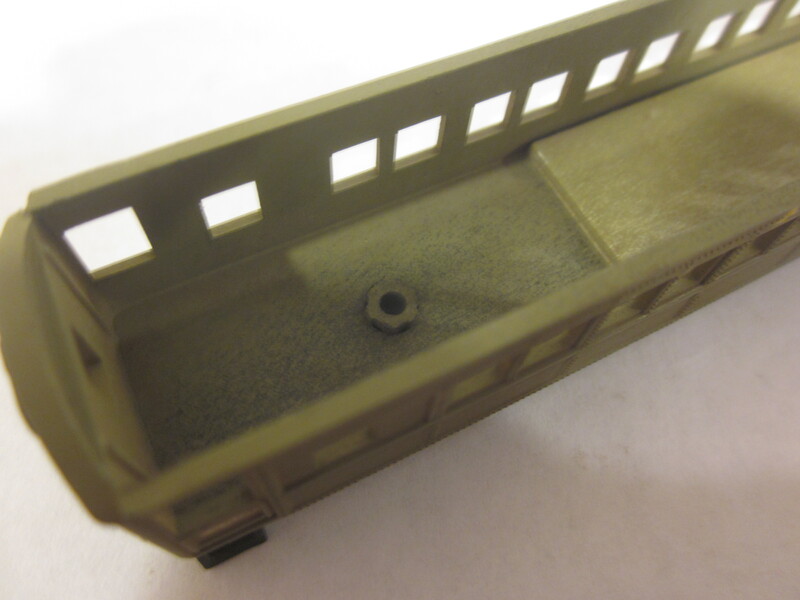 The trucks came with plastic inserts that fit neatly in the factory truck-mounting holes. The inserts are pressed in from above, and the mounting pin is pressed in from below, holding the truck in place. 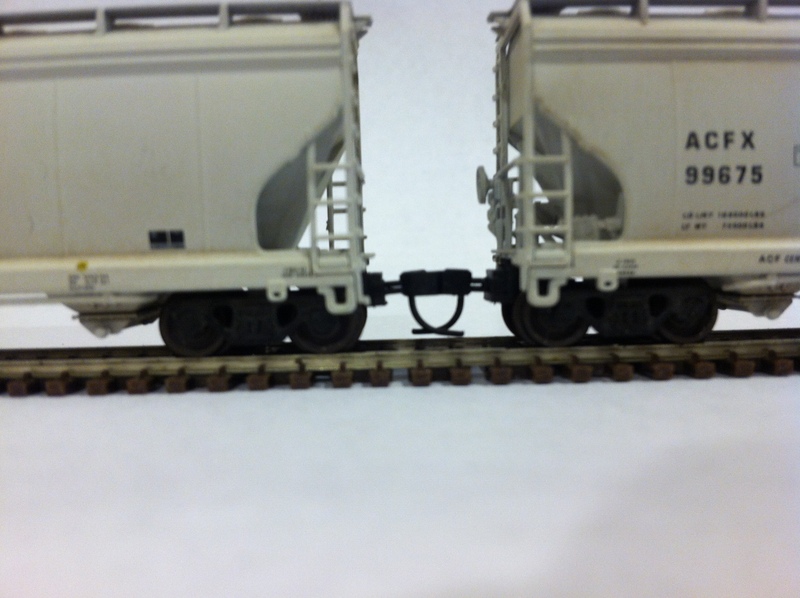 The trucks come with couplers that are supposed to be mounted on a tab with a long slot in it. 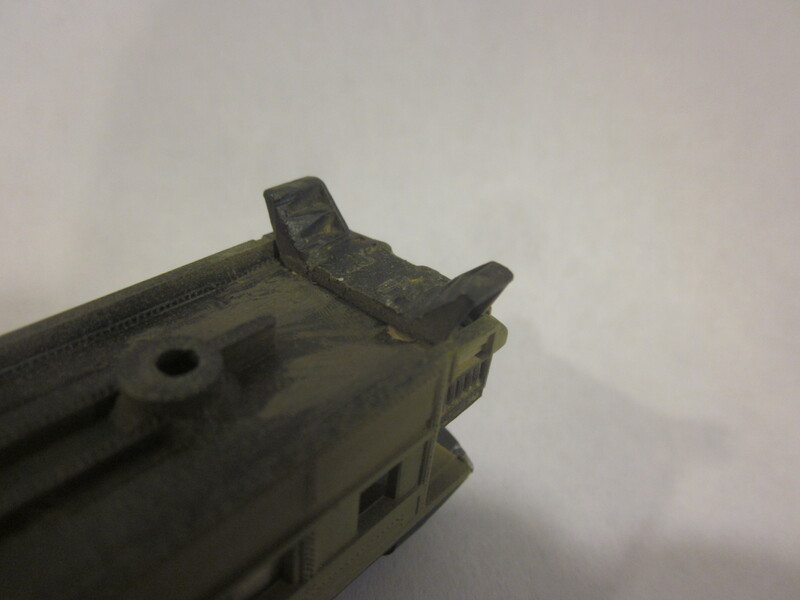 A small screw is supposed to go through the slot, making the coupler adjustable. 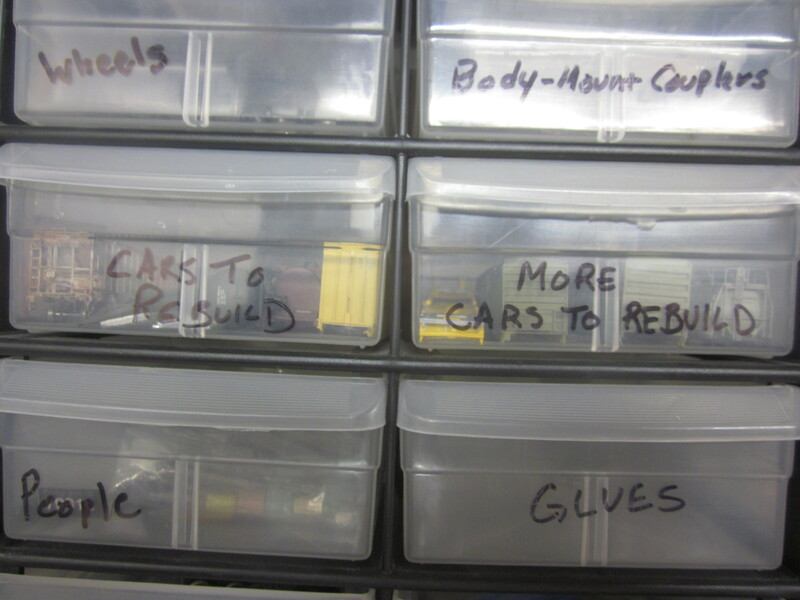 I wanted the cars to couple more closely, so I trimmed the tab about 1/16″ and glued the couplers in place with CA. 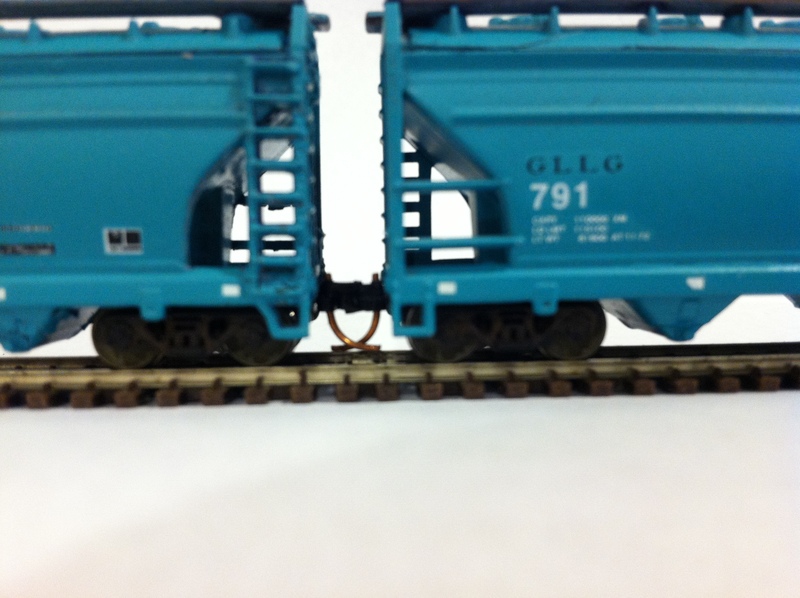 This works for my short train, which doesn’t put much stress on the couplers. I’ve since acquired a couple of the newer, higher quality heavyweights – I’m proud that these look pretty good alongside them. Several years ago I had the privilege of taking the Agawa Canyon Tours/Algoma Central “Tour of the Line” from Sault Ste Marie to Hearst, Ontario and back. 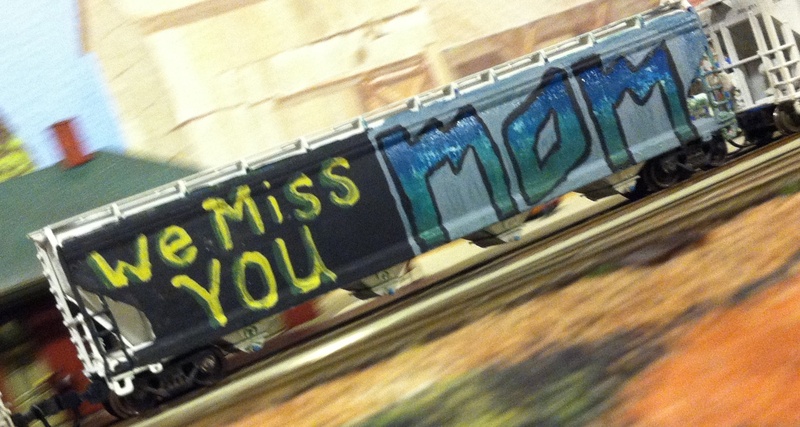 Riding this amazing little train was one of my all-time favorite railroading experiences. The heart-stopping scenery aside, the train was great fun for the hodgepodge of people hopping on and off at unmarked stops in the middle of the wilderness, loading and unloading the most absurd northwoods supplies. 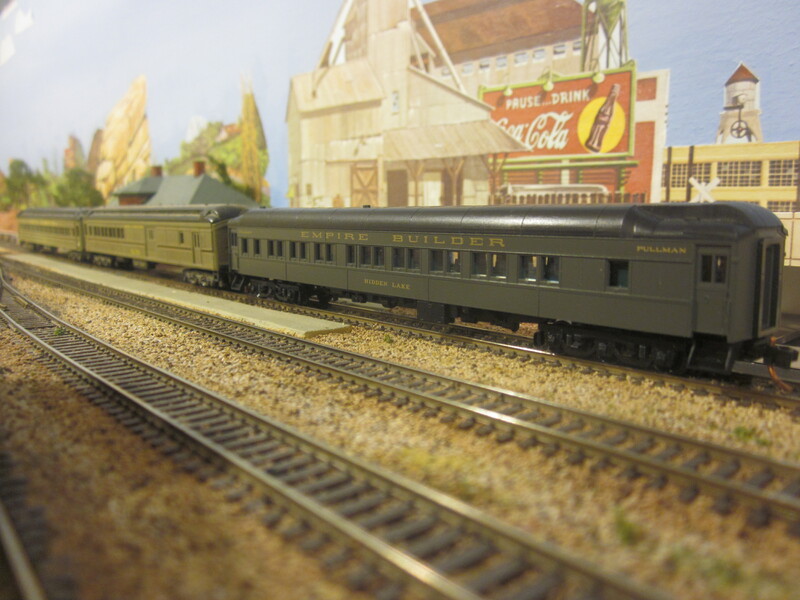 The little consist I rode was headed by an EMD F7 pulling a baggage car and two coaches of similar vintage. One of the coaches had a small lunch counter with cold sandwiches and snacks, but if you knew the right people the train crew appeared to be willing to let you heat your pasties over their charcoal grill up in the baggage car. It was that kind of operation. My version of the wilderness milk run takes passengers deep into the backcountry of Many Lost Ways National Park. The journey starts at Flagstaff, AZ with scheduled stops at Herbst Junction and Salvation Point before terminating at Durango, CO. I wanted to include steam in my fleet, and this seemed like the perfect place. The wilderness shuttle is powered by a Kato USRA Light Mikado. This was Kato’s 20th anniversary version numbered 1986. Four Corners 1986 waits its turn for sand and water at Salvation Point. 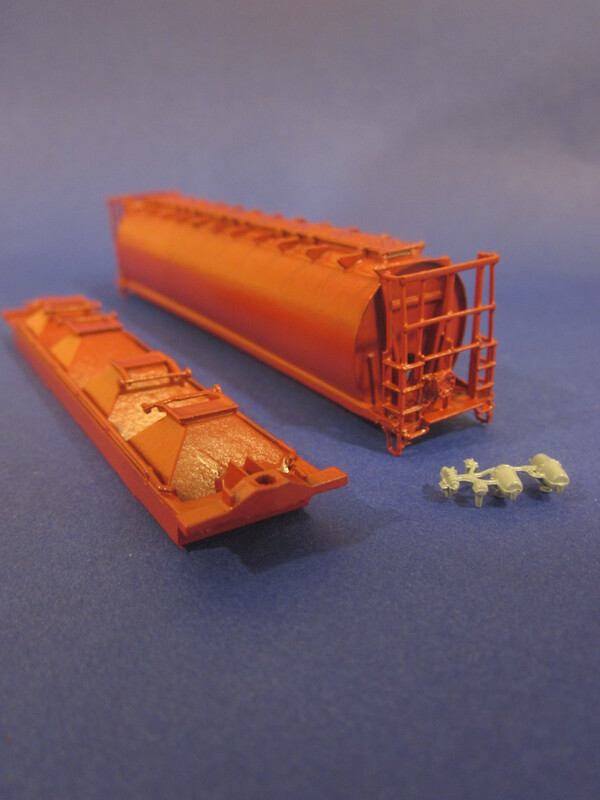 I converted the locomotive to DCC with a Digitrax DN163 mounted in the boiler – a rookie move. The boiler-mounted decoder replaces crucial weight, and significantly reduces traction – someday I’d like to upgrade to a tender-mounted sound decoder. I disassembled the loco and tender and painted over the Kato markings, then applied “Four Corners” decals and some weathering powders. 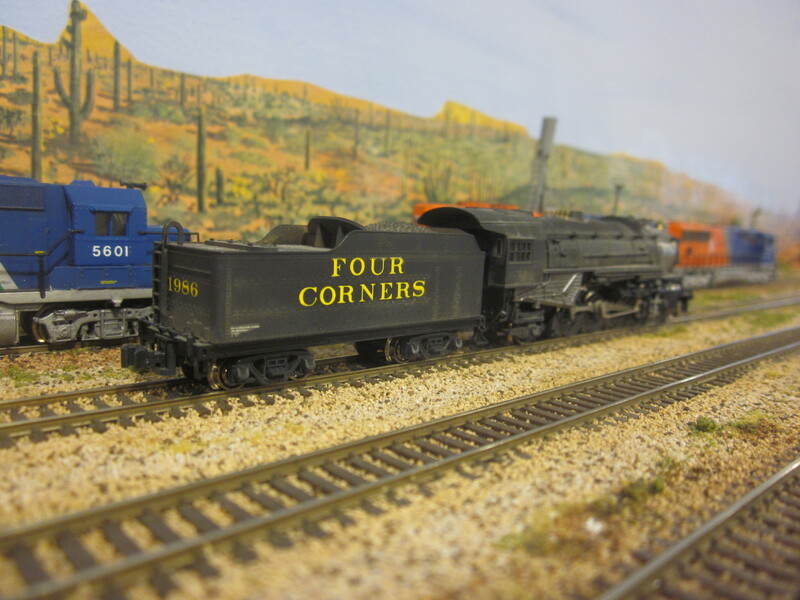 The Four Corners was one of the “fallen flags” that merged to form the FCFL, and having this “heritage” piece on the layout helps bring that history to life. I imagine the locomotive is owned and maintained by a volunteer group that receives significant corporate support from FCFL. 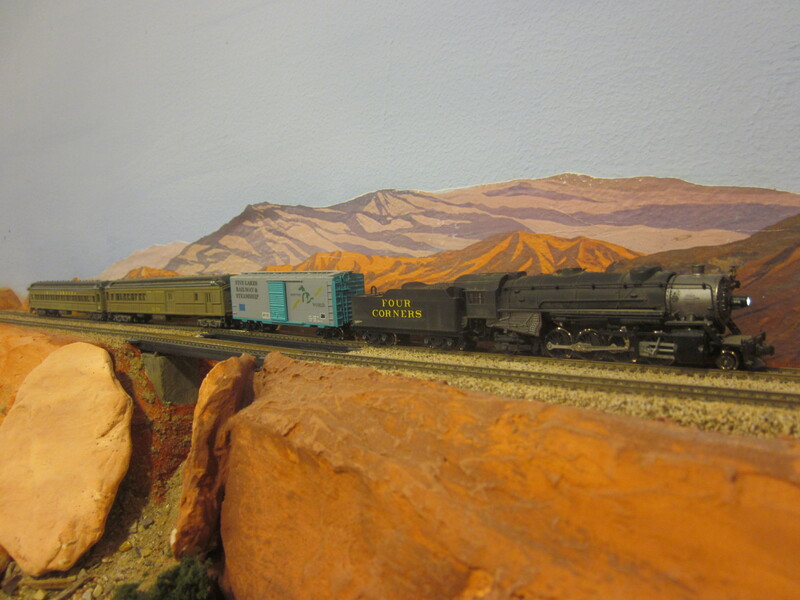 I plan to include a facility for them when I build the Flagstaff addition to the layout. The kind of stuff I saw loaded on the Agawa Canyon trip hardly qualified as baggage. There were ATVs and small boats and even some lumber on board. 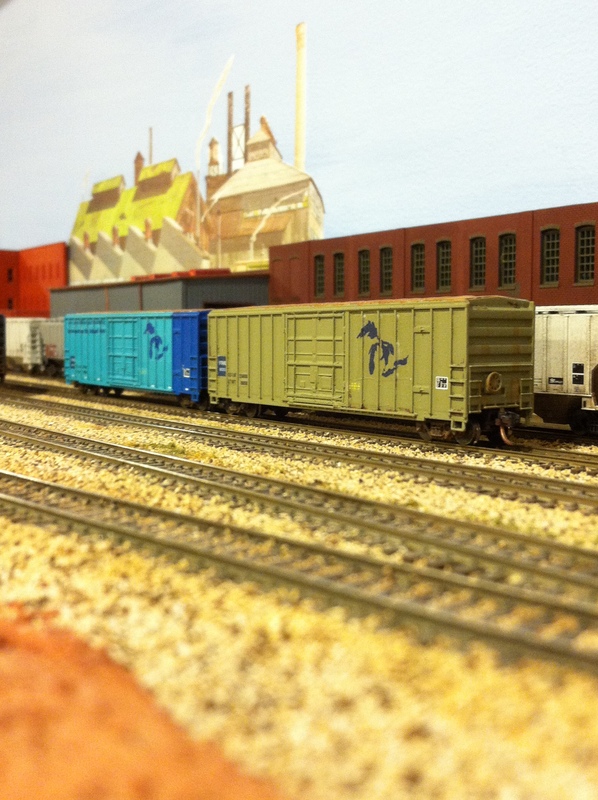 I felt like an old boxcar was more up to the task than a baggage car. 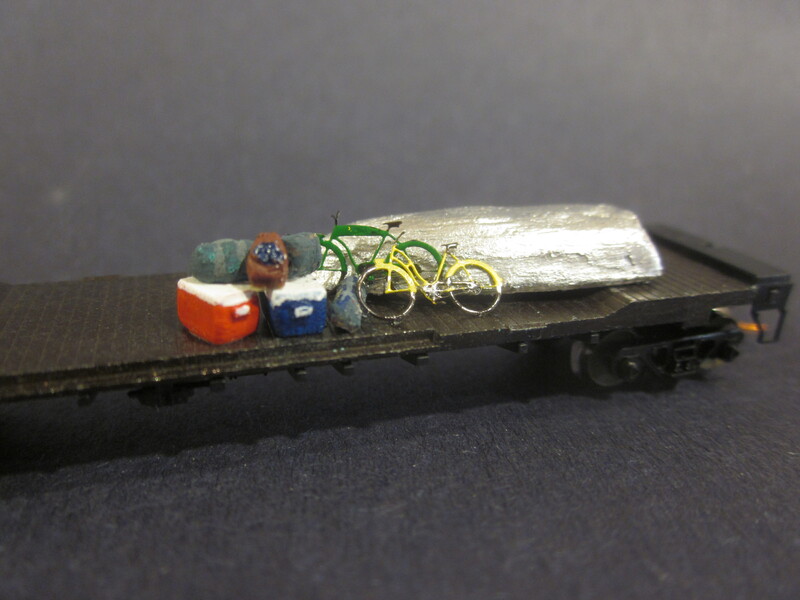 The baggage people bring on this kind of train is a huge part of the story, so I wanted to include the freight in the model. I made a couple of coolers from scraps of styrene, painted them, and glued them to the floor of the car just inside the door. On top of the coolers I piled several pieces of luggage I sculpted from bits of Play-Doh (read more on Play-Doh luggage here). Deeper in the car I glued a Plastruct boat and a couple of Gold Medal Models photo-etched metal bicycles. Backcountry baggage includes coolers, backpacks, tents, bicycles and an old rowboat. 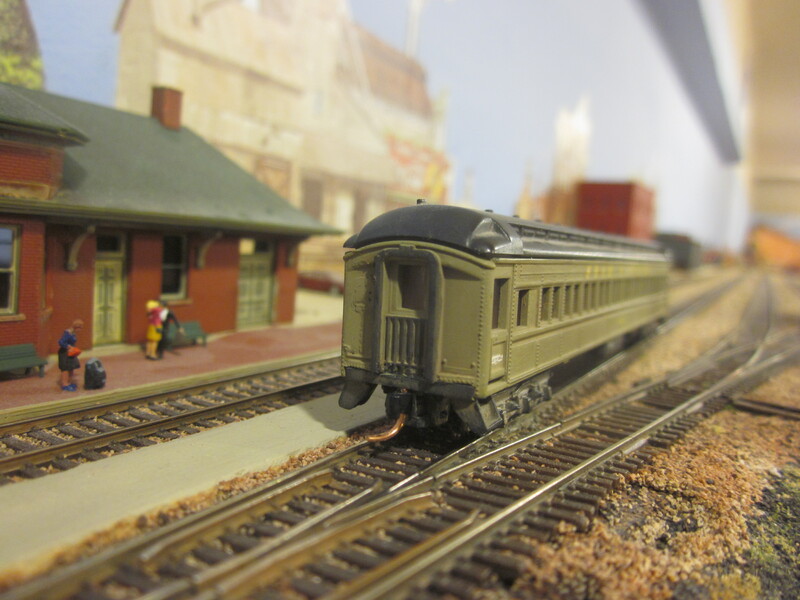 Next Week – Turning Model Power heavyweight passenger cars into backcountry palaces on wheels! 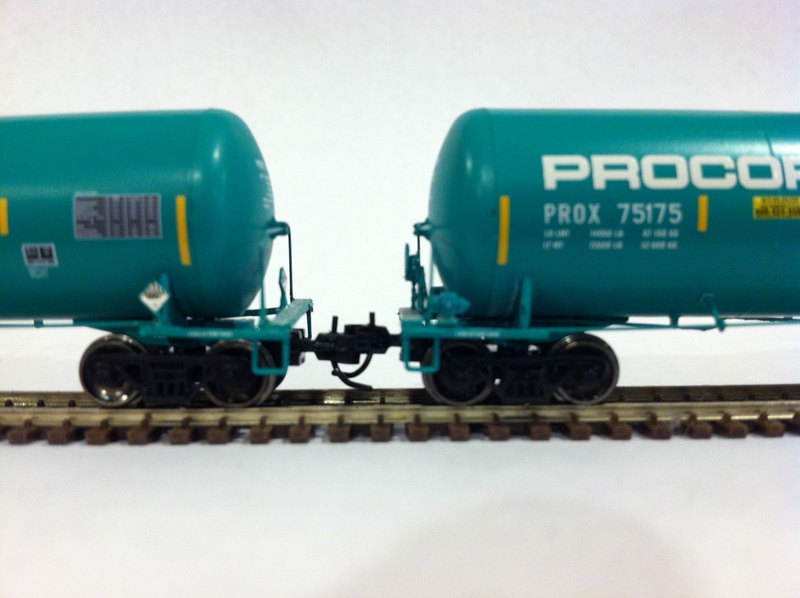 When a string of six brand-new Athearn ethanol tank cars won’t roll on their own down a 2-percent grade, was it worth the 18-month wait? I pre-ordered two three-car runner packs online more than a year ago, and pretty much forgot about them. Recently I got an e-mail and phone call that they were ready to ship, but the credit card on file had expired. I debated spending the approximately $135, but ultimately decided I had wanted them at some point, I might as well take them. Out of the box, I was excited to see metal wheelsets. I’ve become a fan of them ever since I started using code 55 track – metal wheelsets track perfectly through the finicky turnouts that routinely trip up plastic wheels. Metal wheels also offer much less rolling resistance, carrying cars along the rails with the slightest push. 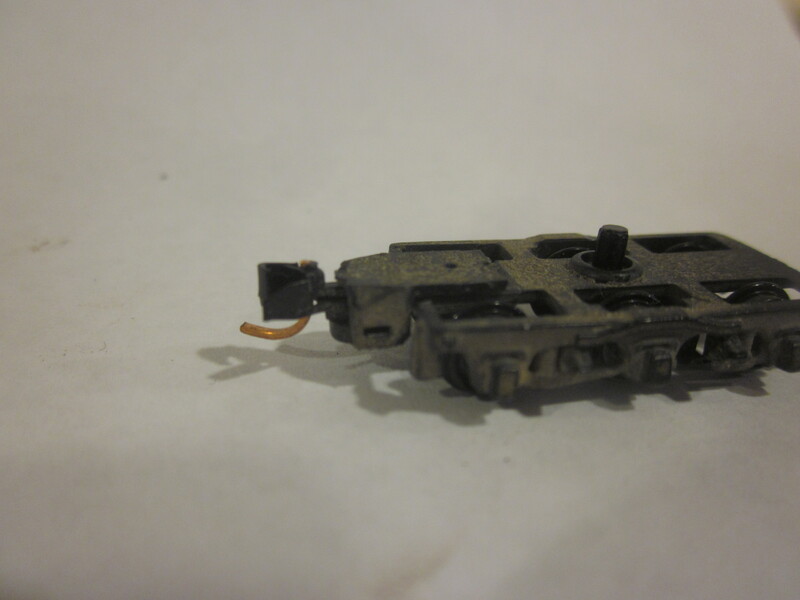 The Athearn units, however, seemed to have the brakes set hard. But rolling resistance isn’t the only problem. The distance between the sideframes is so inconsistent that some wheelsets barely turn, while others are ready to fall out. The trucks are mounted on a post and held in place with a screw. Loosen the screw all you want, it hardly adjusts the play – the trucks yaw, but they barely pitch and roll. That makes the cars prone to derailment, and derail they do. 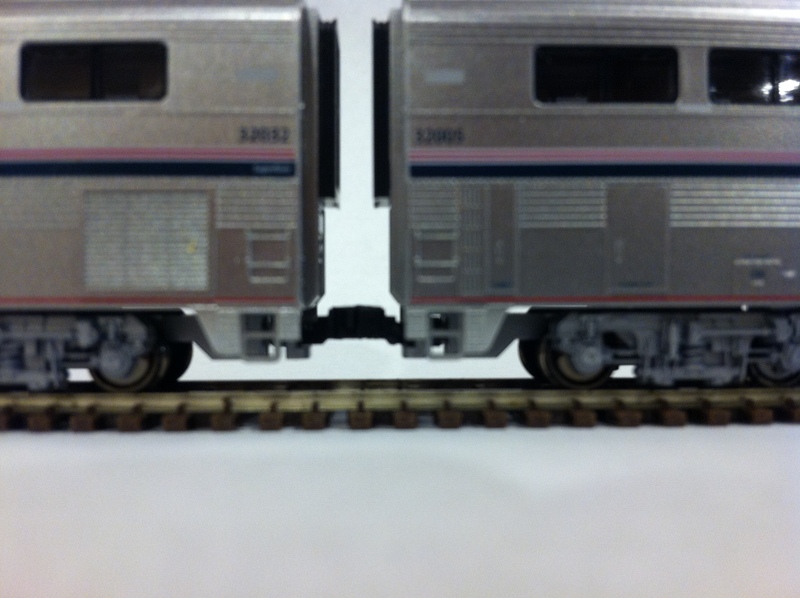 I’d like to say these are anomalies, but two or three years ago I purchased a set of three Athearn Bombardier bi-level commuter cars. They were an un-runnable mess. 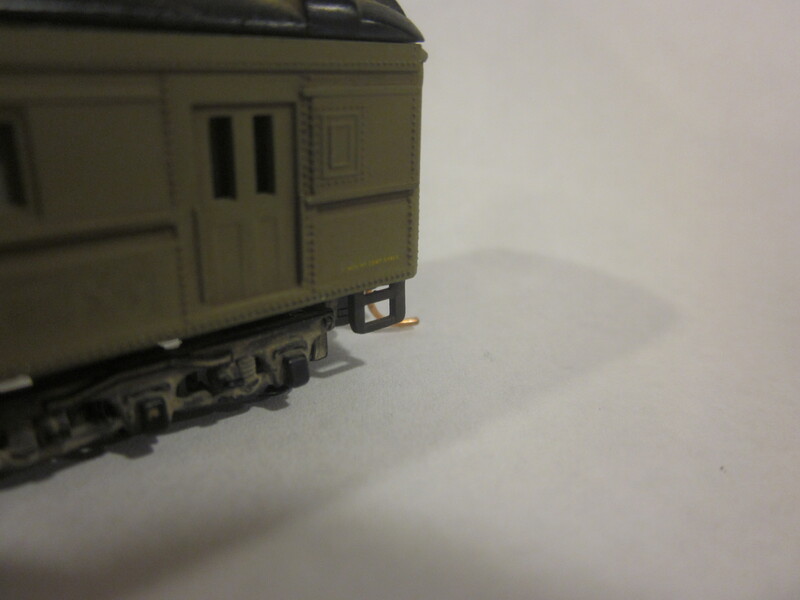 So poorly were the trucks mounted, one set of wheels hovered 1/32″ above the railhead. The shame of it is, the models aren’t bad. 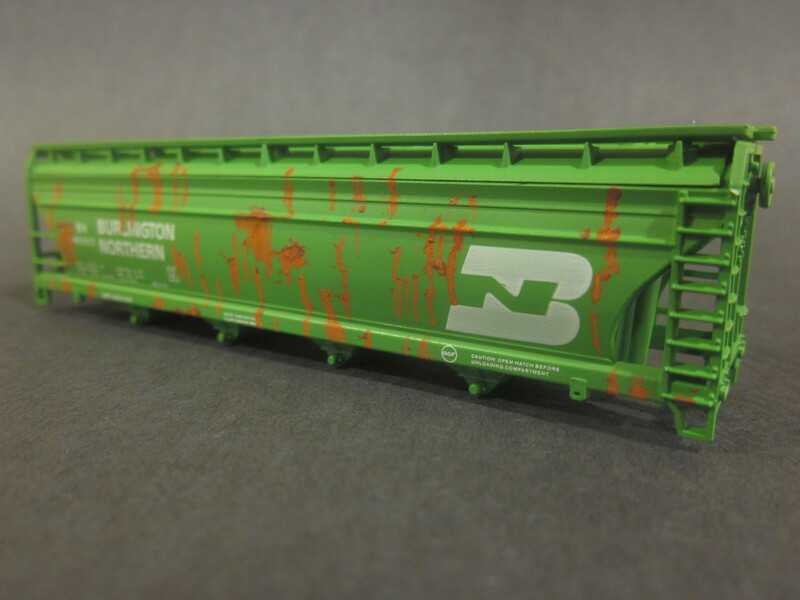 The paint and lettering are decent, the grab irons and other details are nicely done, the carbodies are well made. I could go through the hassle of sending them back, but more likely I’ll try to fix them. 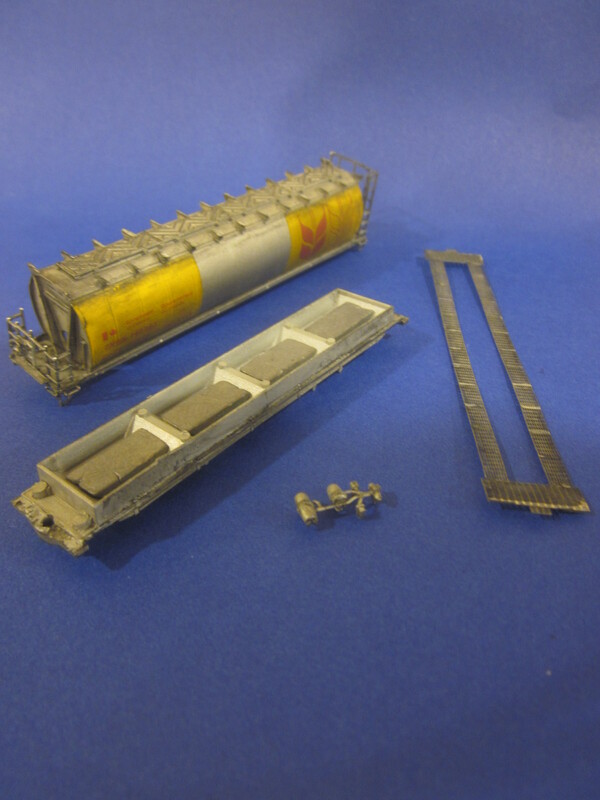 I’ll probably replace the wheelsets, and if they fit I may replace the trucks with some from Micro-Trains. I should be able to get them running how I want if I tinker with them enough. With N-Scale equipment available in such high quality today, it’s disappointing Athearn hasn’t caught up. A bold disclosure to make to the guy who runs the railroad, but the burly man with the salt-and-pepper beard sits across from me and folds his arms, unapologetic. He’s retiring after 43 years, and our little breakfast together is a standard parting gift. Russ started with The Five Lakes Railway in 1970, 23 years old and unsure what to do with his bachelor’s of fine arts. He started washing rolling stock, learned to weld and torch, and worked his way up to retire as foreman of the Milwaukee car shop. The day he lost pride in his job was in 2001. 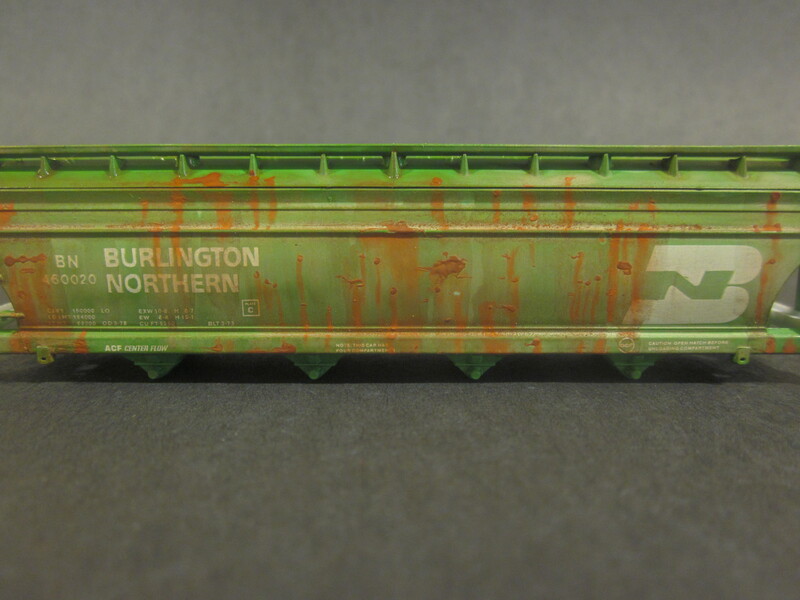 See, Russ is an artist by calling and a repairer of railcars by necessity. He’s produced a respectable body of work in oils and plans to split retirement between family and canvas. Not that he didn’t love his job. Russ is the kind of guy who sees the art in a job well done, and can look at something as utilitarian as a boxcar and appreciate it as a thing of beauty. 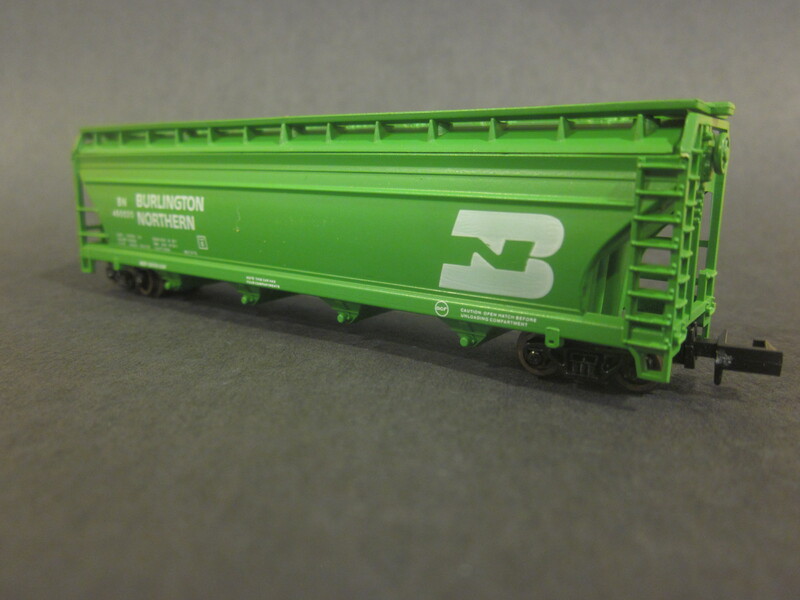 So it was a big deal for him when, in 2000, management asked him to sit on a committee designing the look of the 80200 series boxcars. It merged his work with his passion, and should have defined his career. He worked with the advertising department, produced sketches and life-sized mockups, and even rode the company jet to a meeting with a consultant in Los Angeles. He felt valued and excited to be part of something visible and important for the company. The pinnacle, he says, was the day the committee presented their recommendation to the board. He wore his only suit and sat in the large, cherry-paneled boardroom. 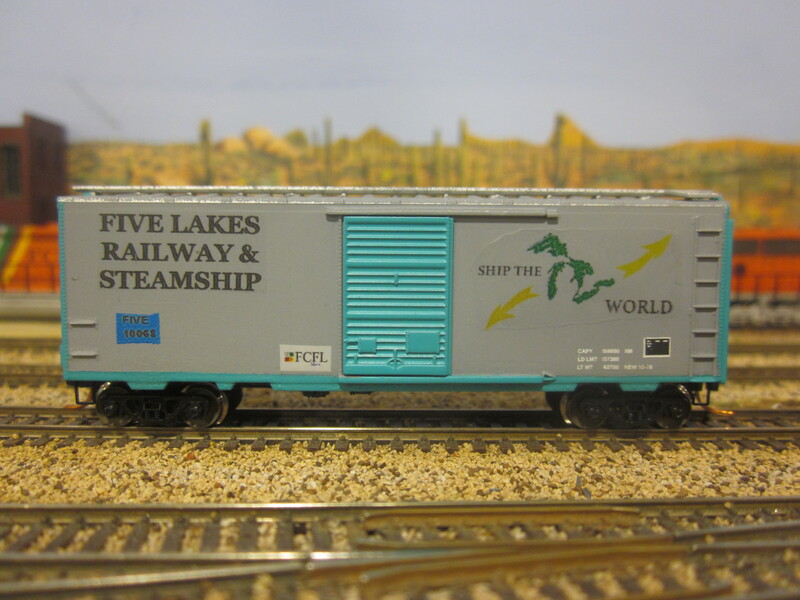 The design – his design – started with a color he mixed up called “Inland Sea.” To the left of the door was the railroad name and tagline, and to the right a blue silhouette of the Great Lakes. A patch of Four Corners blue on the end was a nod to the cooperative arrangement the two roads shared at the time. Russ even did two paintings to show the board: a portrait of a single unit, and a landscape showing a railyard with rows and rows of Inland Sea equipment. He says he almost teared up when they approved the project. It meant his color and his design would become the face of the railroad, seen nationwide. 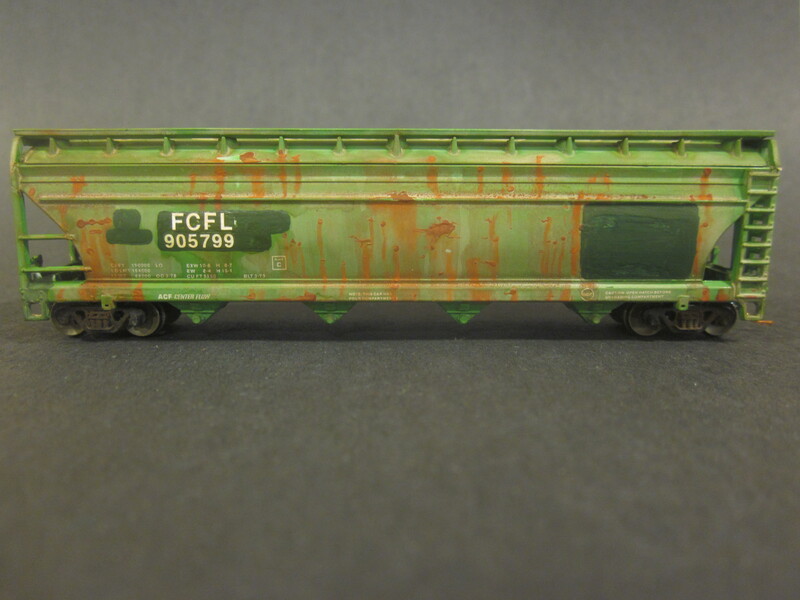 It was a heady day for a kid who started out washing freight cars. 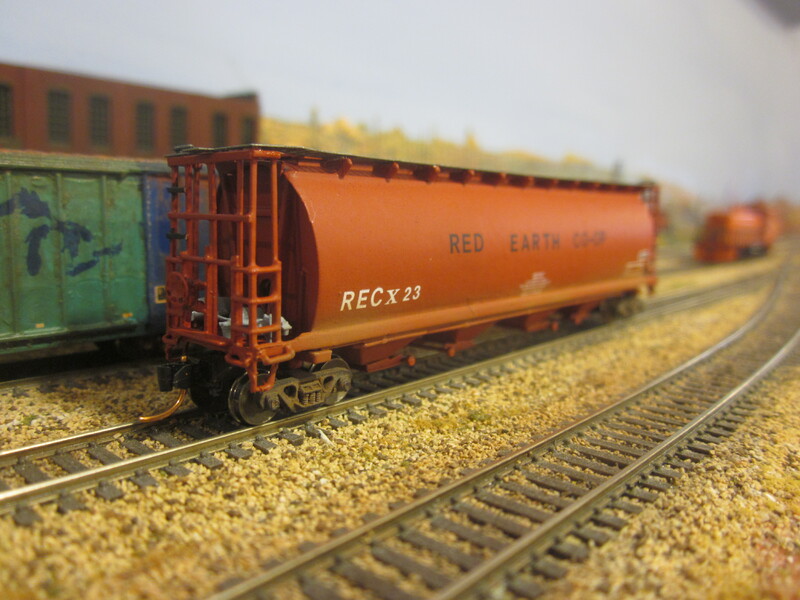 Now Russ stands by one of his boxcars and shakes his woolly head. In the shaky times after 9/11, the Four Corners and the Five Lakes decided to solidify their cooperative relationship. Russ admits the merger was the right thing – people kept good jobs, the health insurance was cheaper – but his vision of rows and rows of Inland Sea freight cars was not to be. 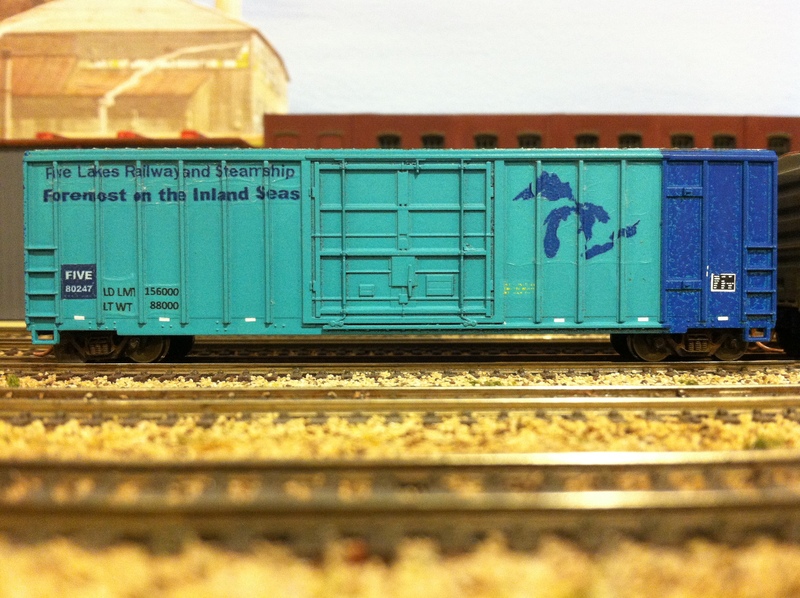 Coupled to the gorgeous Inland Sea car is another from the 80200 series, it’s drab, mud-colored primer decorated only by those reporting marks and data. But right of the door, dingy from a decade in the sun, is a silhouette of the Great Lakes. 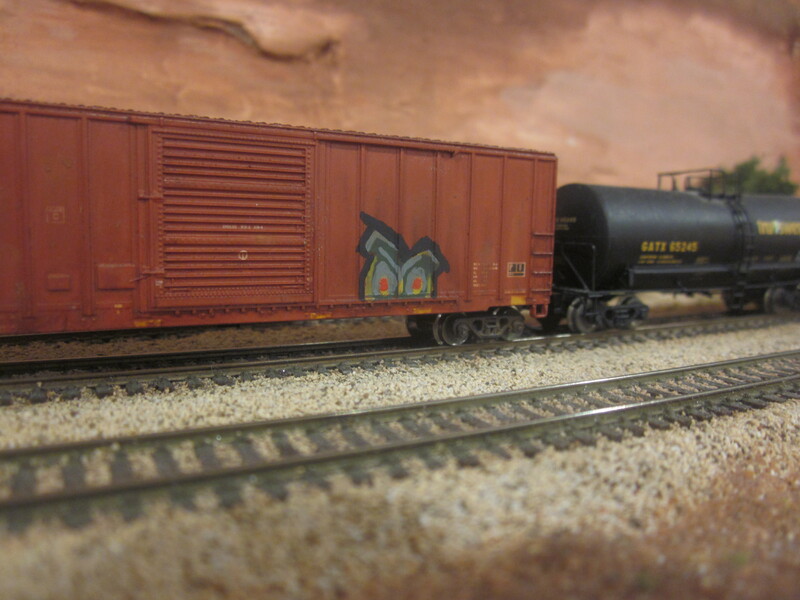 There are a half-dozen boxcars still out there with Russ’ unauthorized artwork on them. He hates seeing them – says they remind him of his powerlessness, of being just another cog in the machine. Russ always wanted to be recognized as an artist, and that recognition may not be far off. He has some leads on galleries willing to show his paintings. There’s talk of some commission work. But he won’t let himself get excited. “I’ve heard things like that before,” he says.